For many homes throughout Kansas City it may be necessary to clear the main sewer line of roots that make their way through the line. Sewer backups can cause damage to your basement and also contaminate storm sewer water and cost the water district lots of money. Does my sewer really need to be replaced? For many homeowners you may be unsure if your sewer needs to be replaced or it’s just stopped up. We can inspect your sewer with our sewer camera to provide a thorough inspection and give you honest feedback as to the pros and cons on replacing your sewer. What material is best for replacing my sewer? When it comes to choosing a material for your next sewer, HDPE is tough to beat. HDPE is required by Johnson County Wastewater on all sewer lines over 100′ and is recommended on all sewer repairs or replacements. This material does not have traditional joints that allow for root intrusion, it is fusion welded on each seam which provides a stronger connection at a joint than any other portion of pipe. What is the best method for replacing our sewer? Today we have several options that allow you to replace your sewer without digging up your entire yard. Trenchless sewer replacement is becoming more and more common throughout the area. 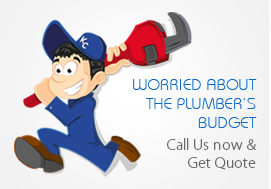 As smaller companies like KC Plumber Pro obtain the pipe bursting equipment necessary for trenchless installations the cost to perform the job continues to fall. Trenchless sewer repair is even more beneficial if you have a pool in your backyard or a lot of trees and vegetation that you don’t want disturbed. 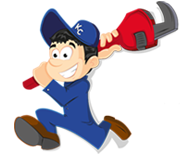 Most of our jobs are spot repairs that only correct the offset of collapsed portion of pipe. We will typically add an outdoor cleanout that will allow for easier cleaning for future problems or roots that may need attention.